Charleston is one of the few cities we make a point of visiting at least once a year. We love it for different reasons. 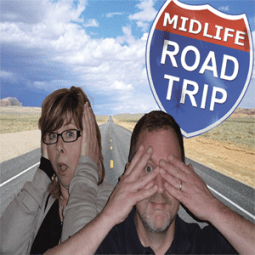 Rick is a Southerner with a thirst for adventure, while Sandi is a Northerner who leans towards leisure. Here’s a look at how each of us recommends you experience Charleston. His Way: The best view of the Charleston skyline is from Charleston Harbor. Unless you own or rent a private boat, the best way to experience that view is to take the Harbor of History Cruise. The 90-minute Harbor Tour offers amazing views of the city, the stately homes on the Battery, the USS Yorktown, the Cooper River Bridge, and Fort Sumpter, where the first shots of the “War of Northern Aggression” (a.k.a., The Civil War) were fired. The guides are very knowledgeable and engaging as they bring the city’s history to life. Her Way: Once a working cotton plantation, the 36-acre McLeod Plantation is now a living tribute to all who persevered in their efforts to achieve freedom, equality, and justice. It is a testament to daily life and the men, women, and children who lived and worked there before and after slavery. Located just across the Ashely River from historic Charleston, this moss-draped oasis is a slice of history that traces the emergence of Gullah Culture in the Lowcountry, and it shows how people dramatically changed the natural history of the plantation’s landscape through time. You can tour some of the homes on-site and compare the McLeod family home with those built for enslaved families. Be sure to download the “McLeod Plantation Historic Site: Transition to Freedom” app for a self-guided tour that highlights the worlds-apart perspectives of those who lived and worked there back in the day. His Way: The Haunted Pub Crawl is my favorite way to experience Charleston’s ghostly past. It also happens to be a great way to enjoy luscious libations in some of the city’s finest bars, pubs, and taverns. Guides on this 2.5-hour tour share much of the city’s colorful history with chilling and often humorous tales. The tour usually consists of stops at three or four watering holes, and as well as at a few notable points of interest in between. Two of the stops on my last tour included a tavern that had bras hanging from the ceiling, and a speakeasy that had a rather creative way of circumventing the law during prohibition. Whether you believe in ghosts or not, this certainly is an entertaining way connect with Charleston. Her Way: There’s nothing like a relaxing stroll, especially one that includes a little shopping at the Charleston City Market. Established in 1841 and spanning four city blocks, the market boasts more than 300 vendors, featuring food stalls with savory and sweet southern treats, artisans, and craftspeople. It is a truly authentic local experience. Watch some of the artisans make sweetgrass baskets, a centuries-old Charleston tradition. The baskets are the perfect souvenir to memorialize your trip. His Way: Hall’s Chophouse, on King Street, has won numerous awards and is listed No. 4 in the United States on TripAdvisor’s Travelers’ Choice list of favorite fine dining restaurants. The combination of an extensive wine list, live jazz, and fantastic food make for a Bucket List dining experience. Before you order, servers bring out raw cuts of the restaurant’s steak offerings and explain each cut and the differences between dry-aged and wet-aged meats. Beside the steaks, some of my favorite menu options include the sweet-and-sour collard greens; the lobster mac and cheese; the Lowcountry Fried Green Tomatoes topped with crab, shrimp, and bacon succotash; and the whiskey bread pudding. Her Way: For 25 years Magnolias has been serving upscale soulful Southern cuisine with a modern, innovative flare. Dishes such as shellfish over grits with sautéed shrimp, sea scallops and lobster, creamy white grits, lobster butter sauce, and fried spinach will have you spouting an “I do declare” in your best Southern drawl. The buttermilk-fried chicken with cracked pepper biscuit, mashed potatoes, collard greens, creamed corn, and sausage-herb gravy will absolutely make you swoon. Viewfinder Tip: The culinary scene in Charleston is popular so make dinner reservations whenever possible. You might also want to pack your stretchy pants. His Way: The Mills House originally was built in 1853, and is located right in the middle of the Charleston Historic District on Meeting Street. The hotel served as the field headquarters for General Robert E. Lee during the Civil War and has survived a fire, hurricanes, and even an earthquake (seriously). I am someone who prefers to explore a city on foot, and The Mills House is a perfect base for that, as it is no more than a 10-minute walk to just about anything you’d like to experience in Charleston. This historic property has the feeling of old-school Southern luxury but with WiFi and flat-screen televisions. As a bonus, it is rumored to be haunted (though I have not had any ghostly encounters there yet). Her Way: The Belmond Charleston Place is the perfect combination of old-school elegance and modern charm, and it is in walking distance to everything in historic Charleston. Enter the lobby, and there’s Italian marble, a signature Georgian open-arm staircase and a 12-foot crystal chandelier. Upstairs, the hotel has 200 revitalized rooms. I recommend staying on the Club Level; it is private access only, and is located on the top two floors. The two-story Club Lounge has a marble bar, built-in food stations, complimentary all-day food and beverages (including a very bountiful continental breakfast), afternoon tea service, hors d’oeuvres, and a full bar in the evening with nightly cordials and desserts. Which cities do you love to visit again and again?